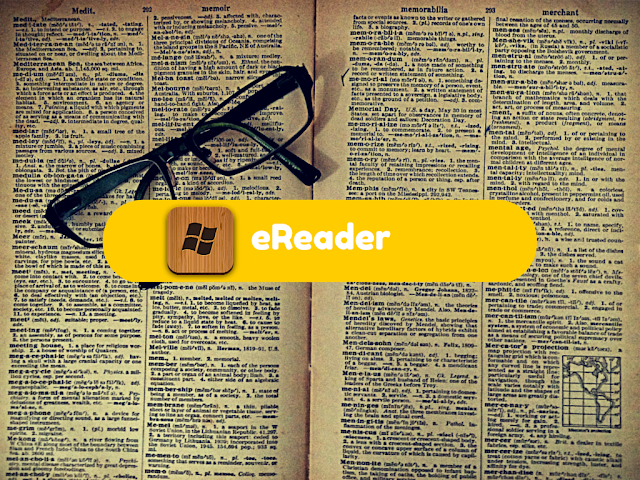 Looking for a eReader app for your windows phone and tablet? We have selected plenty of useful apps for you to easily read variety of ebook formats. With the advent of technology, the once humble bounded paperback has now gone digital. While some still argue that the feeling of holding a book in one’s hands is utterly irreplaceable, however with changing times, avid readers have slowly begun to lean more towards the techno-powered reading experience. From a dedicated e-book reading device to e-reading applications designed and developed to offer a refreshing take on digital reading, it can be aptly stated that a new revolution in reading has begun. You don’t necessarily need specialized devices like kindle for it, as several apps are being rolled out that can customize your Laptop, PC, or Smartphone to turn into a good e-reader at your command. iPhone users may want to check out - iPhone ereader apps and android users may prefer android ereader apps. Available for Windows 8.1 and Windows Phone 8 this app offers a clean, intuitive and elegant interface and is absolutely free. With a host of customizations available, options to highlight and translate snippets of text, this app is tailor-made for all your reading needs. This completely free app available on various platforms, including the windows 8 is truly blissful to use. What stands out is the strikingly attractive user interface. With customization options and the ability to import ePub and PDF files, this application is a wonder in itself. This app released for Windows platforms is a one-stop solution for all your reading needs. Apart from the ePub format, this USP of this app is its ability to support unconventional formats such as mobi, cbf, cbz etc. This multipurpose app released by Amazon on multiple platforms is a mélange of amazing features. Acting as a marketplace, reader and a library manager all at once, this app is truly manna from heaven for all the E-book aficionados. Its a good companion when you are not able to carry your kindle device with you. :Released on multiple platforms this app provides an ultra-simplistic user interface, giving more emphasis to providing a great reading experience than anything else. If you want to read without any distractions, then this reader is the best choice for you. If you’re looking for an E-book reader that offers a host of customization options, then Freda surpasses all others in it. Although not equipped with additional features that other apps carry, this e-book reader stands out solely because of its extreme customizability. Who ever said reading is only restricted to popular novels and biographies? Extreme fanatics of comics may prefer this app over anything else. Dedicated solely for reading comics, this app falls nothing short of awesomeness. Besides providing a wholesome comic book reading experience, it supports a few common formats for reading other books as well. This feature-rich app comes inbuilt with an extensive Blio library from where you can easily purchase books you require. This standalone app released on multiple platforms has a delightful interface, and you can never go wrong if you decide to pick this one. This tool is designed to offer the minimalist experience, without compromising on its features. This easy-to-use app is the best choice for novices, who are new to e-reading. Its simple and easily understandable interface is what truly works for this app. This article is contributed by Hilda. Hilda is a freelance writer working with Essay Writing Place.